After a very very long time, my family decided to go together on a trip. My mom gets LFC refund for distant travels from bank and we really needed a break from routine. 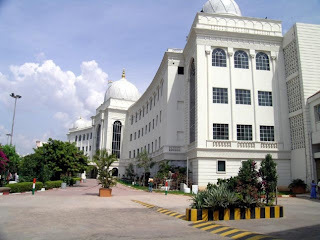 · We had relatives in Hyderabad. · The weather conditions were similar except that it was slightly warmer. 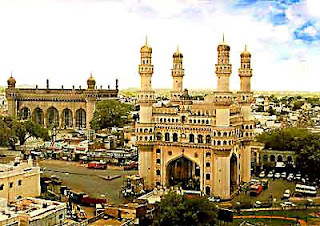 · We had heard from a lot of people mostly family and friends that Hyderabad was one of the must see locations. 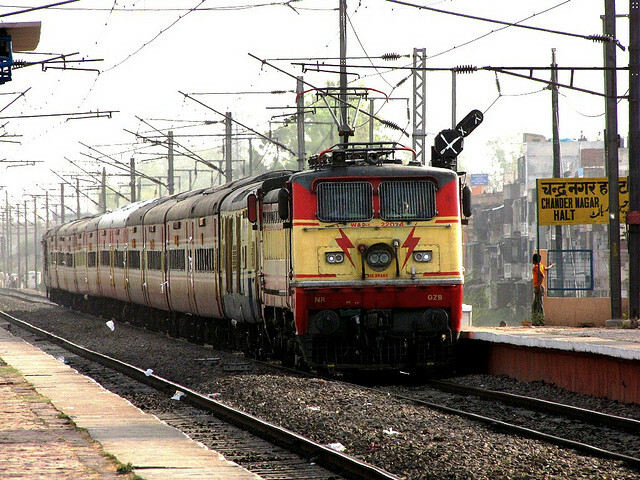 We decided to go to Hyderabad by Rajadhani express, a very famous train known for its speed and service. While on our way to Hyderabad, we had one more person in our compartment, his name was Puneet and he was an entrepreneur of the shoe brand VIVA from Delhi. He did not speak much but I did get him to speak a little with me. As we entered the city by train, the site of several mosques by the side of the train it was only later that we realized that 40% of the population of Hyderabad was Muslims and was on the rise. Anyway, on all the days of the trip i hoped to get a chance to say ‘Hi’ to a class mate in Andhra Pradesh, because most of the guys in my class spoke Telugu; however, during the trip i did not come across any of the class mates, which is most likely because they had joined either Infosys or CTS or Wipro... however enough of this madness and lets get into the details of the trip. We had booked a holiday home from State Bank of Hyderabad. We stayed there. The chefs there were very good and the rooms were fantastic. We reached the Secunderabad station of Hyderabad where my uncle Ananth came to pick us up. We reached his place, got ourselves refreshed and set to have a look at the different places in Hyderabad. A must see place if you ask me. This museum is really huge so don’t expect to get out any time before 4 hours. In fact the museum is so magnificent, you can visit it at least over 3 times to get a sense of satisfaction of exploring it. 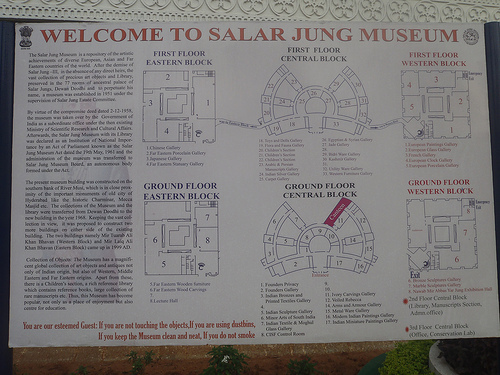 to It is a 3 floor museum. Its the third largest museums in India. Yes it is an art museum, but It’s got so much of variety you will get lost in admiring the beauty of most of the artifacts in the museum. Note the usage of multiple If statements in this map written in red text. 1) Viel Rebeka – one of the most beautiful statues in the museum. its a marble statue and looks life like. 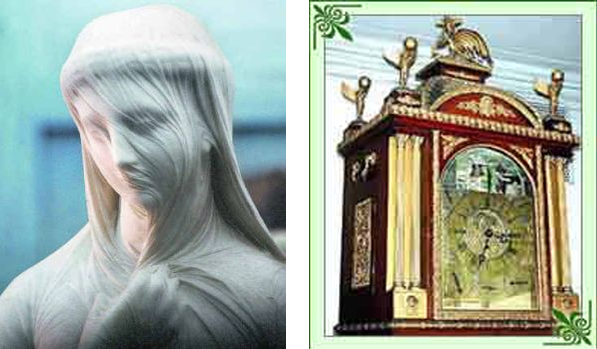 2) Musical Clock – A real mechanical clock marvel with the functionality still intact. 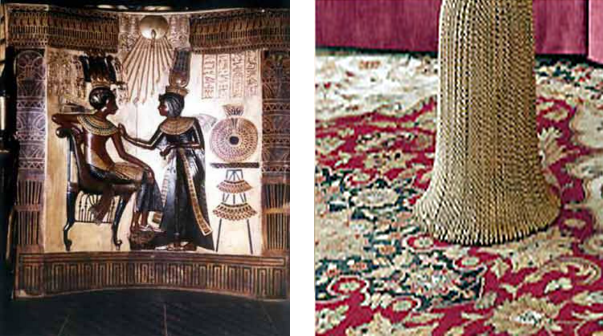 5) Carpets from Egypt and china. 7) Carvings from Buddhist and Jain era. 8) Large display of weaponry. 9) Miniature statues that display war preparations in different countries. 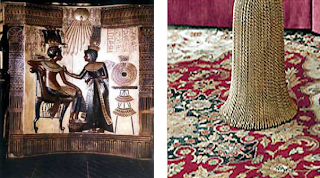 12) Items made from jade and semi precious stones. A very majestic site. We went to the top of the charminar. It was a beautiful view. All around the charminar, you can see people selling a lot of stuff such as samosa (delicious), bangle shops, little toys and common house hold items. The structure is approximately 6 stories high as per the number of steps there. There is a very narrow spiral stairs to the top. The walls have been completely mutilated by random writings by people. The heat had given all of us head ache by the time we reached Golkonda fort. We hesitated appointing a guide, but regretted it later. 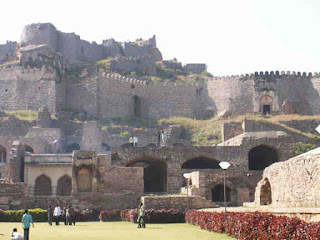 The fort itself is a marvel. It appears somewhat like our chitradurga fort. On the way to the fort, we can see several cannons. While walking within the fort i witnessed a guy killing a chicken with his hands and my heart went all panic panic!!! There are very few guards at the fort, and the visitors have totally dirtied the whole fort. There is a Ramdev temple to the midway to the top and one more temple at the very top of the fort. Unlike Bangalore, people there don’t cherish tender coconut. After we got back down, all of us had icecream in the park. Then we left the fort. I suggest that you take a guide if you ever decide to go to the fort. One of the funniest thing we see there is the sign "Way to UP" everywhere. As if we can go to Uttar Pradesh (lolz). 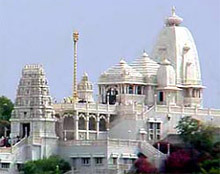 Birla mandir is a some-what different temple in the sense that it is built in a modern architecture. Its got lots of carvings from different religions. The Idle of the lord is very beautiful. It started raining heavily by the time we entered the sanctum and as if my miracle, the rain slowed down just as all of us had reached the exit of the sanctum of the lord. Its a children's park with boating and lots of rides. It is situated on the tank bund of the Hussain sagar lake and a very famous tourist destination. Since we reached late we missed the laser show. I believe that Ramoji Film City is Among the places a person must visit in India. Some of the wonders and displays of the film city seem too good to be true. As soon as you enter the main gate you get to see the enormity of the place. The staff at the ticket counter are very friendly.From there you board a bus and it takes you to the place where the majority of the events take place. The road to the place is very beautiful. And at one point there are different lamp decorations for different streets. · Wild Wild West Show: An act that shows how synchronized the sequences in a movie are supposed to be. · Borasura: It is a house of horror (supposed to be :P) very well build. · Ramoji towers: A place where you sort of experience the apocalypse. · Fundustan: A place where there are fun rides and circus acts for children. · Eureka entertainment: A place where we can see staged acts of different cultures, different themes and people of different ages. · Action: A place where we get to learn several aspects of movie making and how we usually tend to take a narrow perspective of a movie. If you have never seen snow then this is the place where you get to see it... its a theme part with a huge slide, a place to dance, a merigo round in snow, snow tables, you can see ice stalactites, play air ball basket ball, throw ball with lots of fun. The temperature inside the place is at -5 degrees and we really enjoyed it. Since we did not have time we did not go to the go karting, living dead, ocean part, tropical fauna regions of the park. 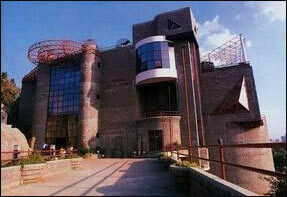 If you have been to the planetarium in Bangalore then this planetarium is not worth the visit. Me and most of us there fell asleep by the mid of the show. 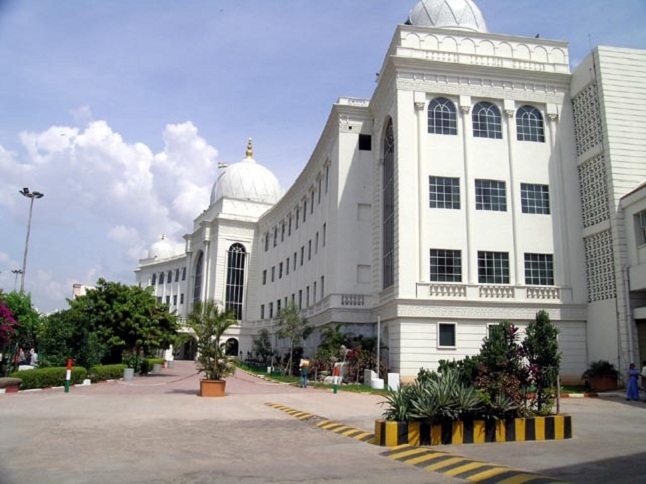 Yes compared to the vishveshwaraiah museum in Bangalore this museum is very ameture, but the museum is very good in the sense that you get to learn and understand science practically. There is an art museum at the bottom floor of the museum. A dinosaur museum with a very large dinosaur skeleton and the pillars have impressions of pre historic flora. There is a relay museum which is intended to teach satellite communication, but most of the equipments there are not well handeled. 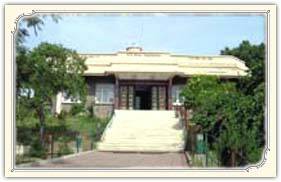 The museum and planetarium are surrounded by beautiful park which have several idols from different excavation sites in India. thanks a lot. i will make the required changes. I've been after a reliable overview on this for about a week, and this has been a great help. I shall be getting this re-tweeted for sure. Great information.Your posts are very helpful. 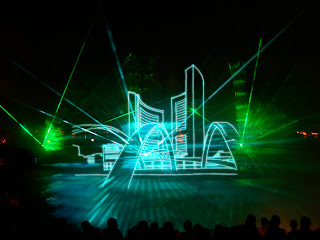 I follow them closely and make sure that the inputs provided by you are given special consideration during my tours. Great work, keep posting.